Want to open saving account in UCO Bank? If yes, then let me tell you now you can apply online for UCO Bank saving account. 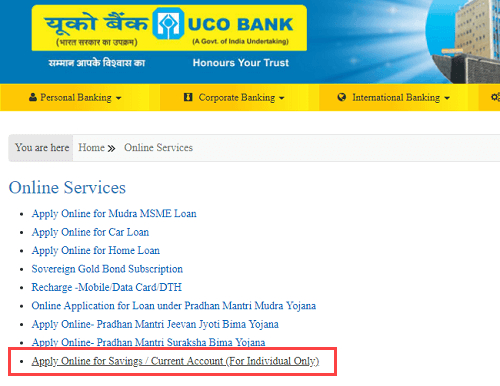 You can fill online UCO Bank account opening form and submit to Bank. UCO Bank is public sector Bank and serving banking products all over the country. You can open saving account with just 1000 deposit with all banking products like ATM card, passbook, Cheque Book and online banking facility. Step 2: Now select Yes in the email address and Pan option and enter your Date of Birth. 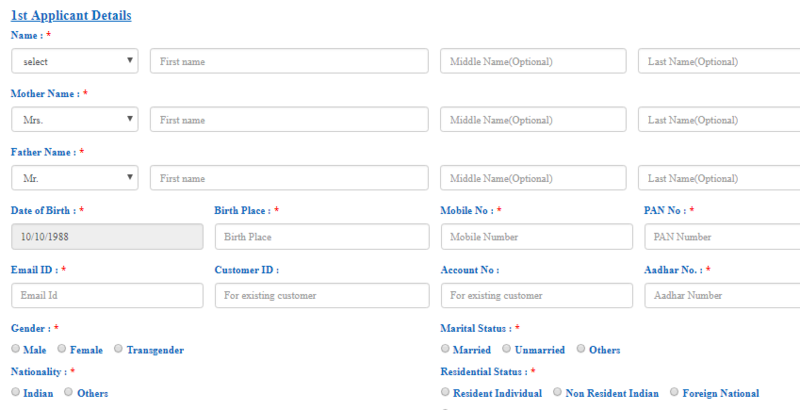 Step 3: Now you need to fill the account opening form including your personal details, job details, address details and upload necessary documents. Select Saving Account, with Cheque facility and select your Branch. Now enter your personal details your name, father and mother name, Birth place, Aadhaar number, Pan number, mobile number, email address etc. And now enter your complete address and upload address proof document. You can upload Aadhaar card, Voter card or light bill. Now select your ID proof and upload ID proof document. Add your Passport size photograph. After filing all necessary details, now click on submit. Now you will receive OTP on your mobile number, enter this OTP and submit. Done! your online account opening request submitted successfully. You will receive reference number on your email address and mobile number. You can also download a PDF version of your application. The Bank person will call you regarding account opening. You need to visit Bank to complete KYC verification with all documents within 15 days. Your account will be opened within 7 days after submitting KYC details depend on your branch. You need to deposit 1000 rupees during account opening process.